This concert makes its way to Egypt by way of Greece (Les Éolides being inspired by the daughters of the winds from ancient Greek mythology), for Saint-Saëns’ delightful Fifth Piano Concerto. 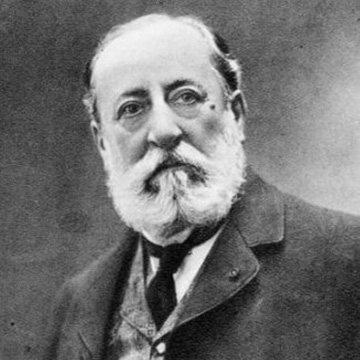 Saint-Saëns was an inveterate traveller with a particular love for North Africa and this concerto earns its nickname not only because it was written on one of the composer’s many holidays in Luxor, but also because it is some of Saint-Saëns’ most exotic writing, containing references to Javanese, Spanish and Middle Eastern musical traditions. Our soloist Louis Schwizgebel has recorded this concerto, with BBC Music Magazine commenting that “Schwizgebel’s touch is gorgeously singing and wonderfully delicate, but can sharpen to serious bling when occasion demands - and he applies it judiciously. Throughout he shows exemplary musical taste and good sense, whilst making Saint-Saëns’s most fiendish passagework sound utterly effortless.” Elgar turned his hand to symphonic composition later in life but it proved worth the wait – his First Symphony was premièred to a rapturous response in 1908, with a slow movement that is counted amongst his most beautiful writing.